There are A LOT of options for setting up an online store, but Weebly’s new eCommerce feature may be the simplest option I’ve seen and the best value for the money. Weebly has been a solid website builder for years offering a simple DIY option for people to create an affordable website. Read my full Weebly Review here. Now with their updated eCommerce option, they offer a sophisticated and simple way for people to sell products on their Weebly website. See how it works in my overview video below. For a more in-depth overview, get something to eat and watch the hour-long video from Weebly at the bottom of this post. How Much Does Weebly eCommerce Cost? If you’ve spent any time investigating selling online, you’ve probably discovered it’s not free. You’ll encounter fees for SSL, domain, hosting, payment gateways, credit card processing, transaction fees, and more. Weebly offers everything you need to sell online in one affordable plan. Weebly does have a free option for people who just need a basic informational website, but if you want to take advantage of their eCommerce features, you’ll need an upgraded plan (Starter, Pro, or Business) which starts at under $5/month. 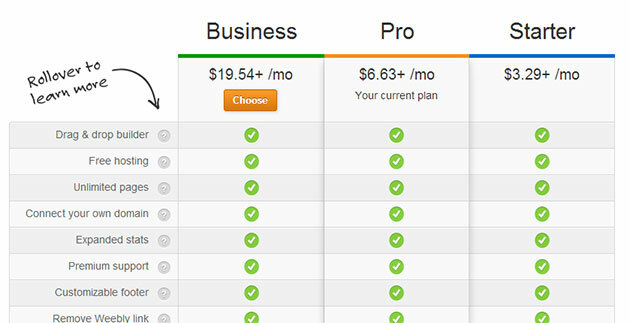 You can read my other post on Weebly Pricing and Features. Merchant processing fees – This may depend on the merchant account you use. Currently, Weebly eCommerce links up with Stripe, Paypal, or Authorize.net. The processing fees will usually be around 2.9% + $0.30 per transaction. This cost is usually the same regardless of whether you use Weebly eCommerce or some other option to create your online store. Transaction fees – Weebly charges a 3% transaction fee for eCommerce sellers on their Starter and Pro plans. You’ll have to upgrade to the Business plan (about $20/month) to remove that transaction charge. If you do $700+ in sales per month, it’s worthwhile to upgrade to the Business plan since you’ll save more than the cost of the upgrade. This percentage cost can vary a lot depending on your sales volume but it’s a benchmark for average small sellers. Sellers with higher volumes over $1,000 per month will probably have their total costs be under 5%. 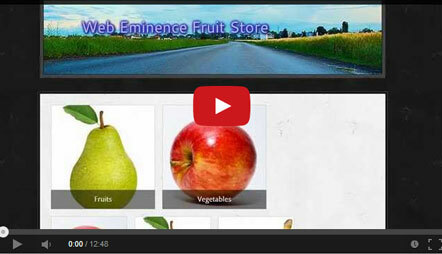 Do you think Weebly eCommerce is a good fit for your online store? What features are the most important to you? If you’re wondering if Weebly eCommerce is a good fit for you, feel free to comment below and ask me questions. I’m happy to answer as best I can.